Excursions par Chemin de Fer Bateau et Autocar Postal, 1936. 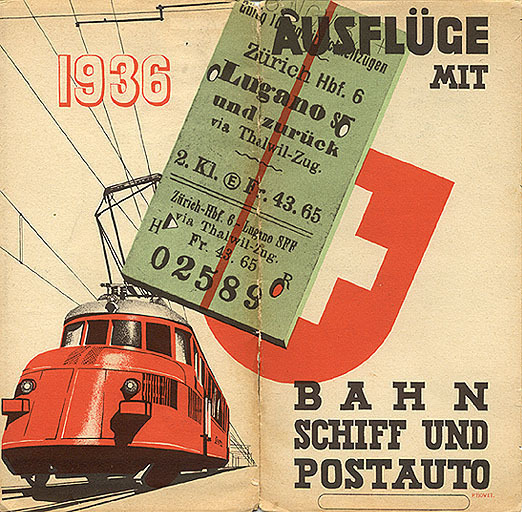 Published by the Swiss State Railways. Signed "P. Bovet," printed by Paul Attinger, S.A., Neuchàtel.